Quantity 1-10 : $32.90 per mat. Quantity 11-39 : $32.00 per mat. 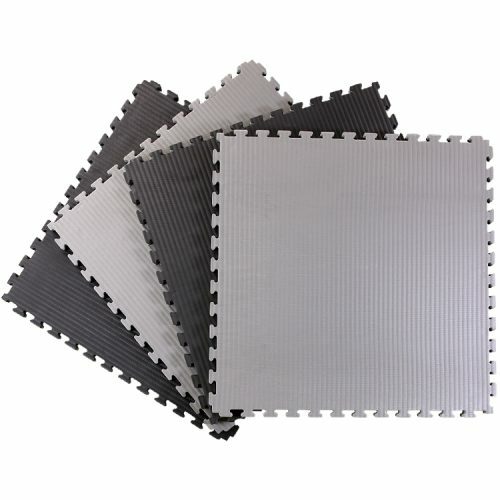 Quantity 40-99 : $31.50 per mat. Quantity 100+ : $30.90 per mat. Our tatami jigsaw mats come with the traditional tatami finish. 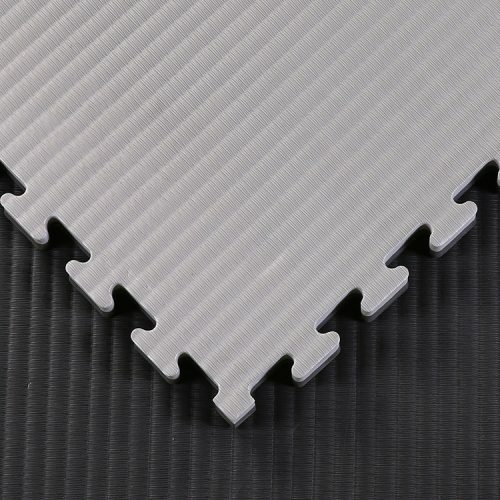 Our 40mm tatami jigsaw mats are a great alternative to a traditional tatami mats. They are light weight and easy to assemble and move. They are also a lower cost alternative to our vinyl tatami mats. 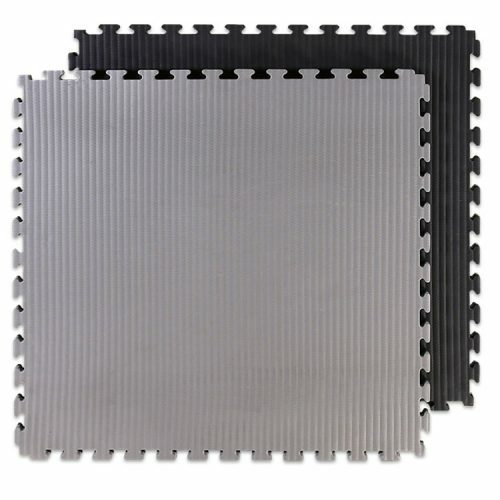 These tatami jigsaw mats are black and grey. So one side is black and the other grey which allows you to create boarders and designated training areas in your training studio. Our Black / Grey 40mm Tatami Jigsaw Mats are suitable for a variety activities and martial arts including Judo, Jiu Jitsu and Aikido. Constant training and grappling can often lead to injury if adequate padding is not available during impact. 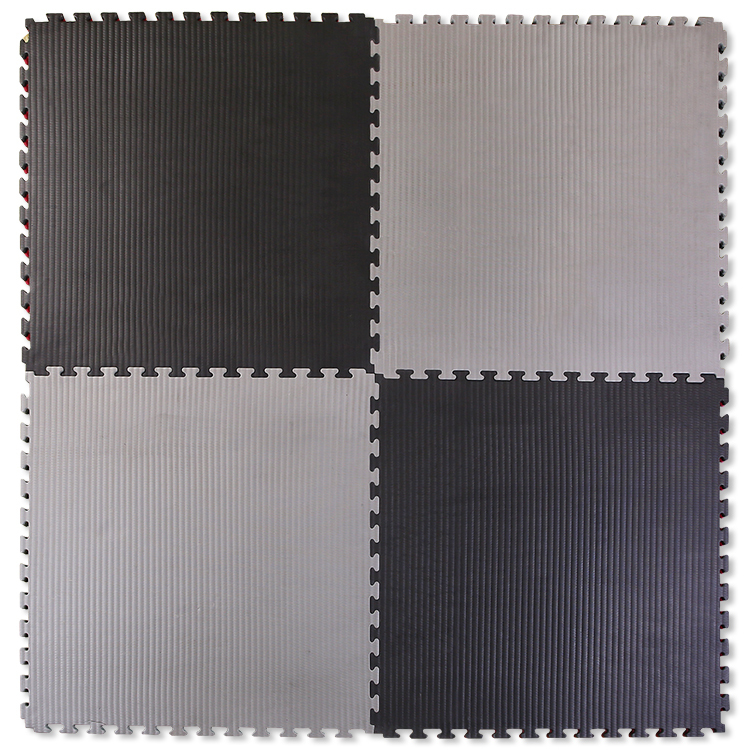 The black & grey training mats are our most popular training mats. Ezymats were the first supplier to introduce this colour option to our Australian customers. These contrasting colour create a modern feel for any training environment.